The duo managed to take the top podium despite getting an overall penalty of 6:21 minutes. The duo has taken the pole position despite getting a penalty of 3:28 minutes on the last day. Prafulla KS and Sandhya Chandrashekar took the second podium. Women had a run of 300 km from Bengaluru to Chikmagalur. The second season of the Divas on Wheels rally has concluded and Ashima Duggal who was leading the quest on Day 1 along with her navigator Amrita Shergill has taken the top podium. The duo has taken the pole position despite getting a penalty of 3:28 minutes in their run from Chikmagaluru to Coorg on the final day of the rally. The team had earlier received a penalty of 2:53 minutes on Friday but had maintained their agility throughout the race which led them winning the rally. Prafulla KS along with her navigator Sandhya Chandrashekar had a rather safe run on the final day garnering only 1:48 minutes penalty to claim the first runners'-up position. That said, on day 1 this team took 7:48 minutes penalty which averted them from winning the rally. Shobha Ravi along with navigator Nilofer Ibrahim took the third podium with an overall penalty of 13:08 seconds. Jai Das Menon- Organiser, Time, Speed, Distance (TSD) rally had quite a surprise for the winners. "The top three finishers, apart from winning handsome cash prizes and trophies, will get a free drive in the next Dakshin Dare. All these women have been rallying for barely a year. They have shown tremendous improvement," he said. 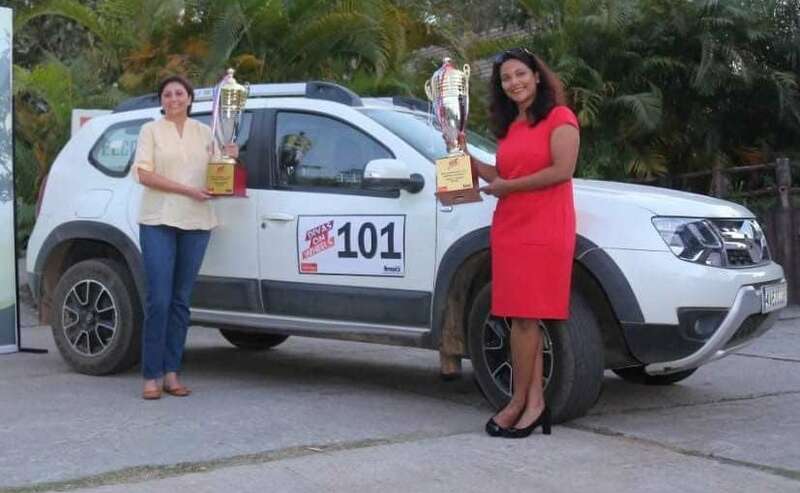 The Divas on Wheels Rally is an annual championship exclusively for women drivers. The women covered a total distance of 300 km from Bengaluru to Chikmagalur in the Time, Speed and Distance (TSD) based rally.